Penedès is a Spanish Denomination of Origin, from the Catalan region of Penedès. It comprises an area of ​​approximately 28,000 hectares of vines and a total of 63 municipalities, in the south of the province of Barcelona and the province of Tarragona. Some of the most famous wines of the Penedès are white wines, which are characterized by being very light, with very little body. In addition, they are very aromatic wines. This DO was founded in the year 1960. Since then, its progress has been remarkable. Today, there are more than 5,700 vine growers, 270 cellars and 148 winemaking companies registered. The Denomination of Origin Penedès establishes a series of rules regarding the ageing of white wines. Thus, the regulation specifies a minimum period of six months before being released for sale; it is the time necessary for the wines to settle and, in this way, reach the consumers in perfect conditions. 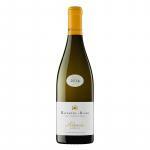 Chardonnay: its growing and commercialization began in the 70's and it is now widely recognized throughout the world. 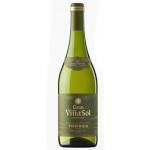 Young white wines with a very fruity aroma. 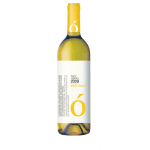 Xarel·lo: a characteristic variety from the area of ​​Low and Middle Penedès. Malvasia: it is a Mediterranean variety, whose grapes are grown in areas near the sea; the growing area is in the vicinity of Sitges. The white grapes are very sweet and soft. The white wines are fresh and aromatic. Moscatell d'Alexandria: one of the most special varieties of white wine of this DO. This grape was already known in the time of the Egyptians. These are some of the best known varieties, but there are some more. The white wines of Penedès are one of the most valued of the Spanish geography. A real experience for all the senses.